Recorded songs full of groove feeling, specialized for “Live live”. 4 songs E.P “Hey!” Decided to release on February 12, 2019! A total of 4 songs are recorded as songs playing the role of “shine.” Through one piece, WHY @ DOLL’s live feeling, a sense of groove is conveyed and it becomes a work that can be enjoyed. On December 18, the super J – pop unit ONIGAWARA produced two songs, such as holding a Zuman live with WHY @ DOLL. The expectation to become tune and expectation is rising. WHY @ DOLL ‘s live will be noticed. 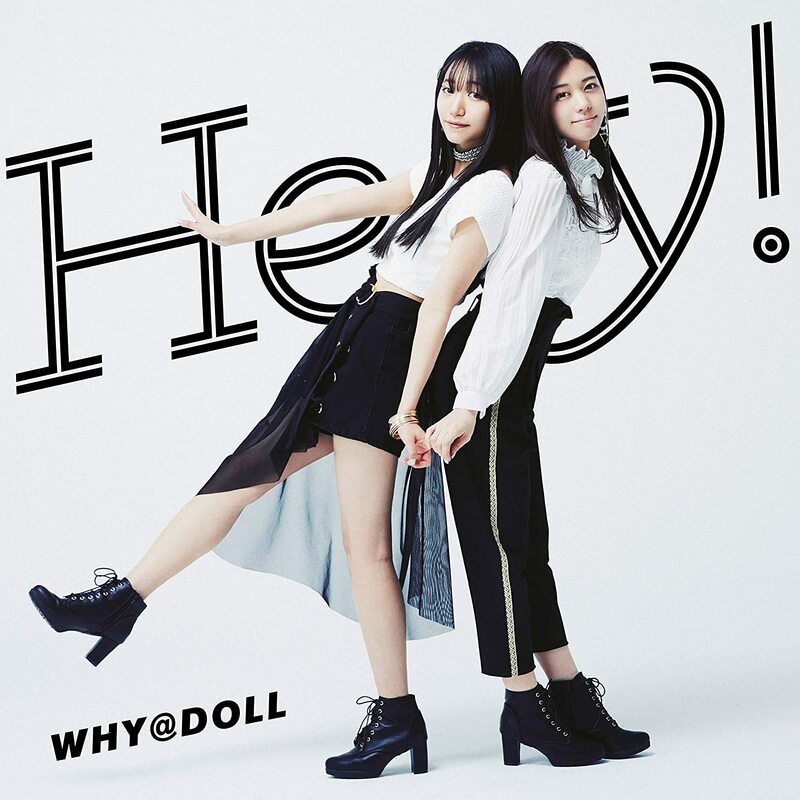 4 曲入りE.P「Hey!」 2019 年2 月12 日発売決定! Why@Doll (ほわどる) is a Japanese idol group formed in May 2011 originally from Sapporo, Hokkaido (now based in Tokyo). Originally a 5 member group, WHY@DOLL was part of Team Crerekko! (Teamくれれっ娘！) along with Snow Drop and Merci♡Coco. WHY@DOLL moved to Tokyo in 2013 to improve their skills as idols and make their major debut. WHY@DOLL perform a mix of City Pop, R & B, Disco, Funk, etc. : a comfortable music that makes you feel nostalgic somewhere, and a girls unit with healing weapons that healing created by their unique “loose-feel” feeling. WHY@DOLL’s current lineup includes members Aoki Chiharu (青木千春) and Uratani Haruna (浦谷はるな).